As a guest of the Marilyn Denis Show, we are offering you a Complimentary 1 month membership to our Wine Club. Our winemaker has picked your wines for the holiday season for you. This is a sample of what our Wine Club members receive on a monthly or bi-monthly basis. Our motto, NO FEES – JUST WINE, ensures that you get to experience exclusive access to some of Niagara’s best wines, delivered right to your door at no additional membership fees and delivery charges. 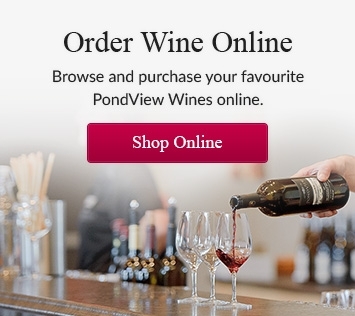 If you love the wines from PondView Estate Winery in the heart of Niagara Wine Country, our Wine Club is for you! We make it very easy for you. Because that's the way our Niagara wine should be enjoyed. As a member, you'll have exclusive access to Limited Release and Library Wines, as well as 15% off all non-wine products in our store. Limited Release wines, Library wines, Special Events – as a Pondview Wine Club Member, you will be the first to know! Plus as a new member, you get private tastings for you and up to 6 of your friends!